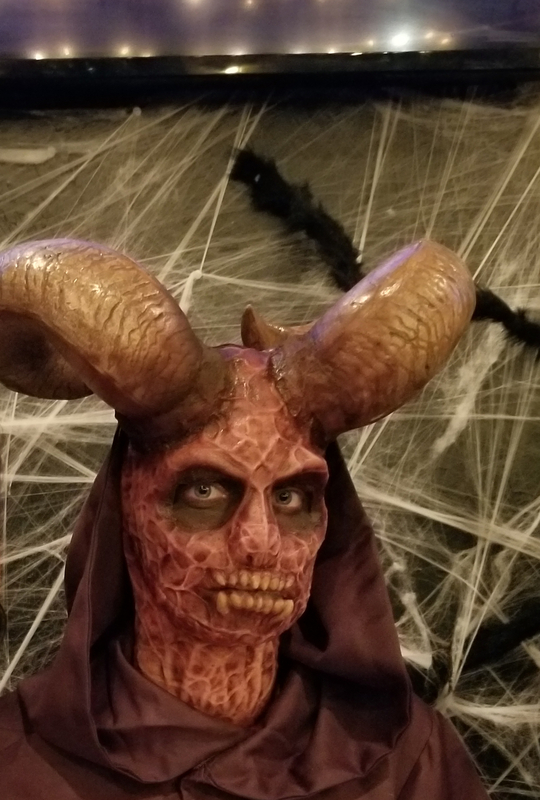 This demon is an original design that I sculpted, molded and cast myself. 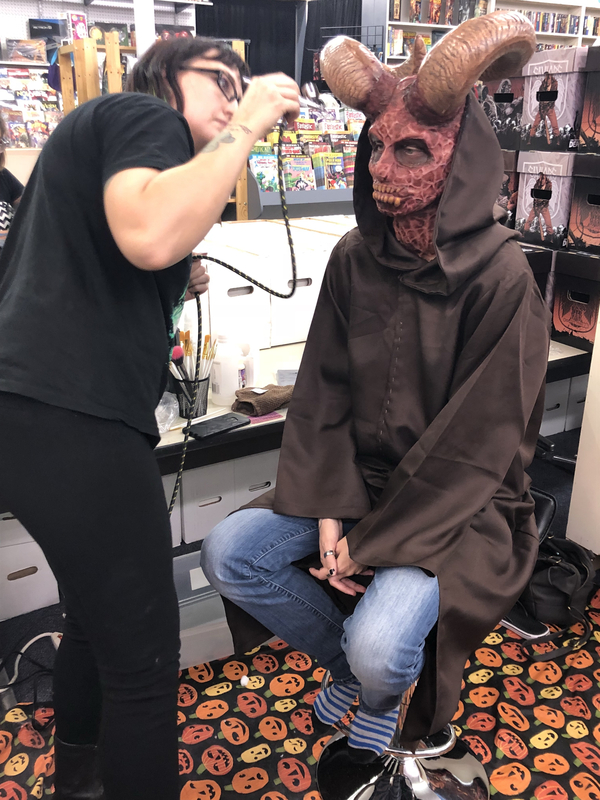 This was for a halloween themed event at a local comic book store. 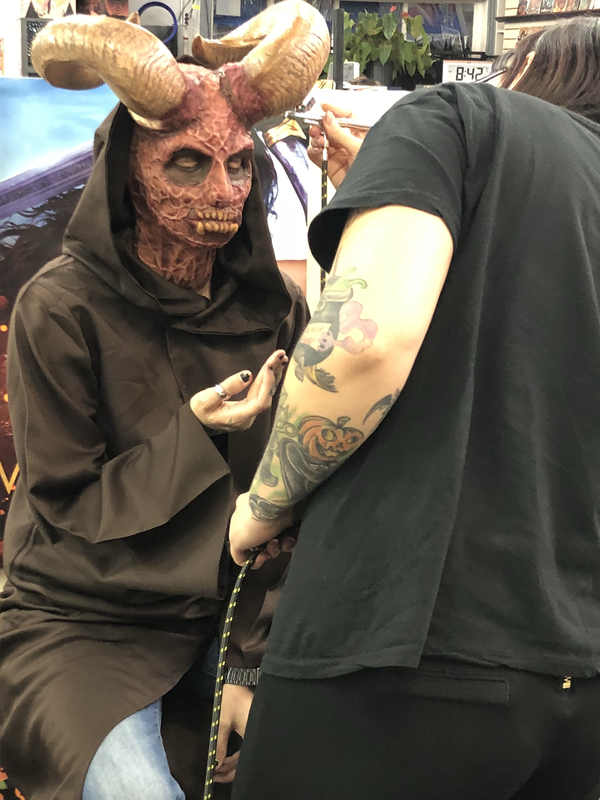 I wanted the demon to look like it had not been accidentally burned, but that this is the way it came into being. 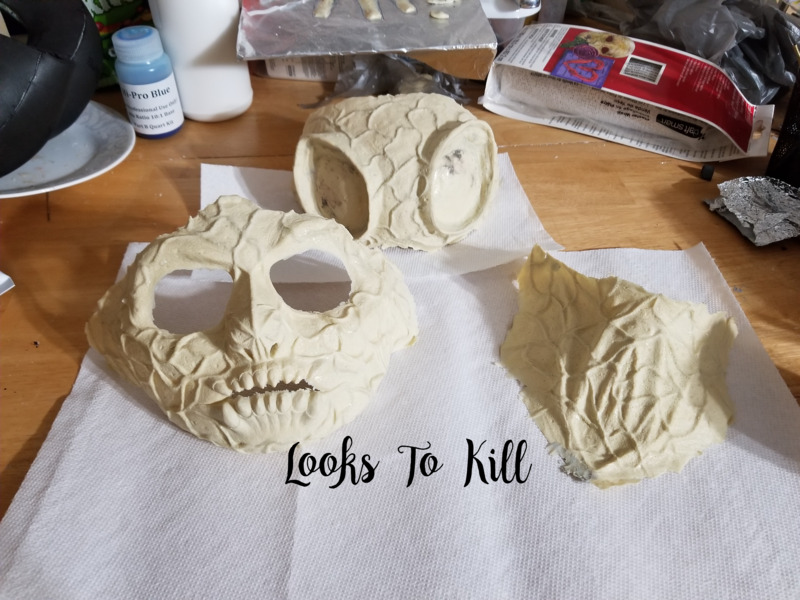 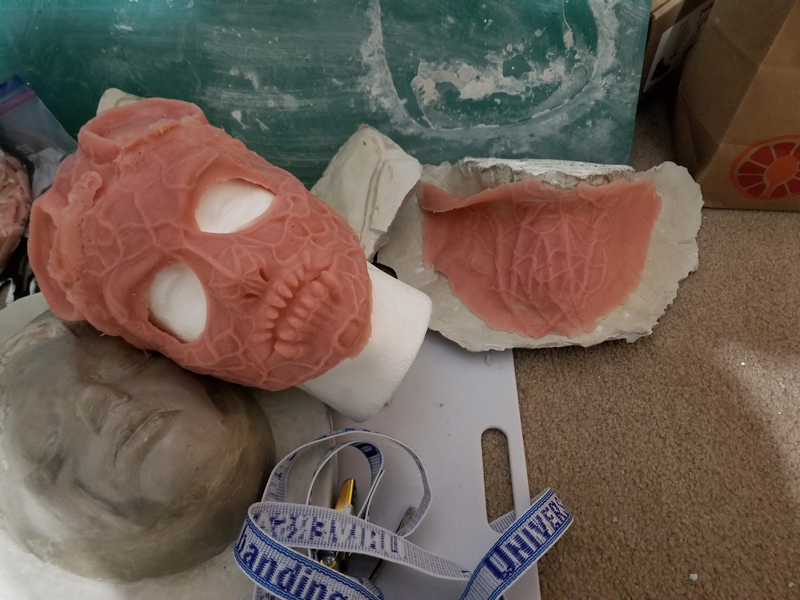 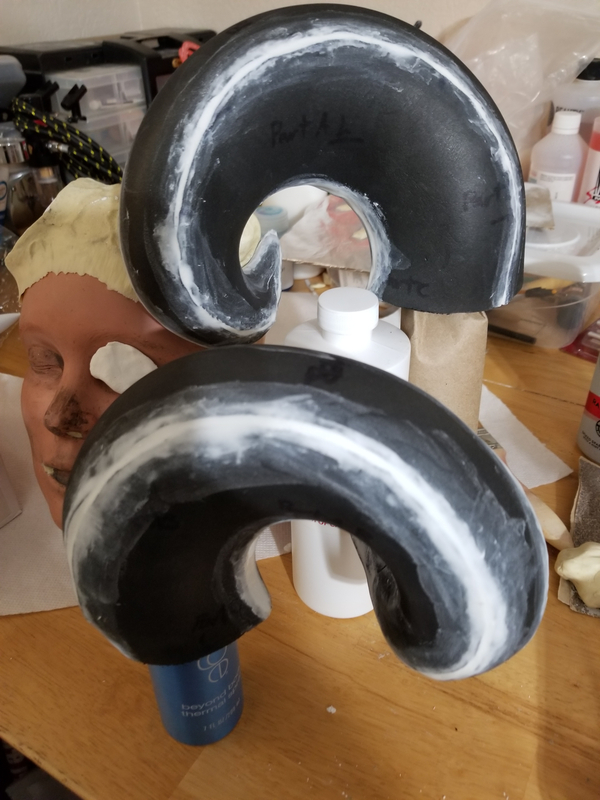 The three prosthetic pieces are made from gelatin and the horns are EVA foam.